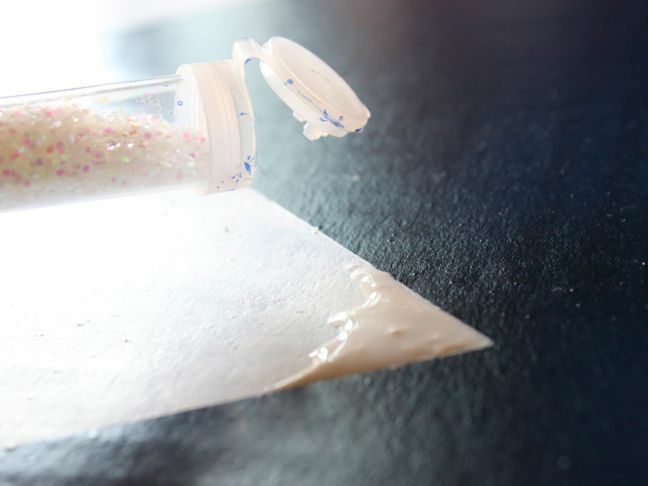 When the snow falls and it’s too cold to play outside, I immediately cry and panic at the thought of being stuck inside with kids all winter with the cold and flu germs lurking around every corner. Then, I put on my big girl pants (definitely yoga pants), a really warm pair of slippers, and I get my act together. 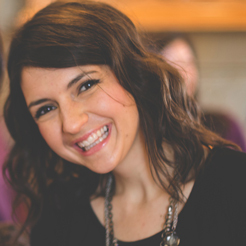 We paint, craft, bake, play board games, and watch movies. 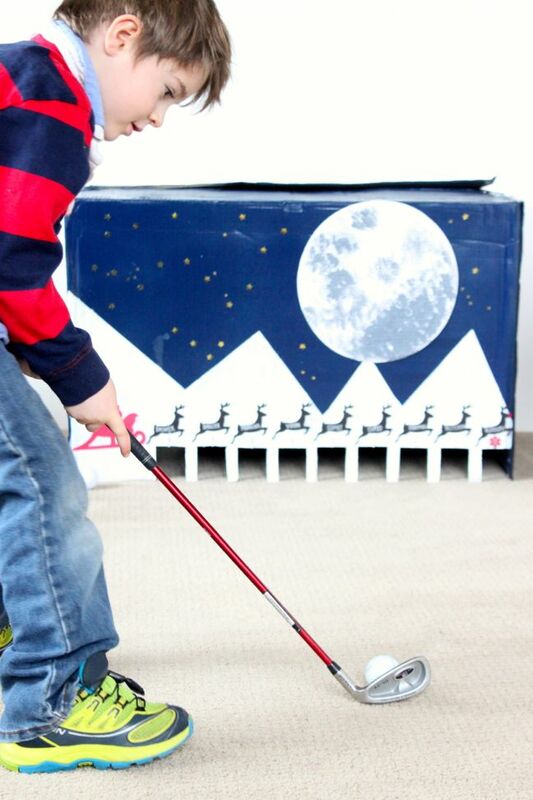 This winter we’re also going to touch up on our golf skills, because I made this fun DIY indoor golf game. 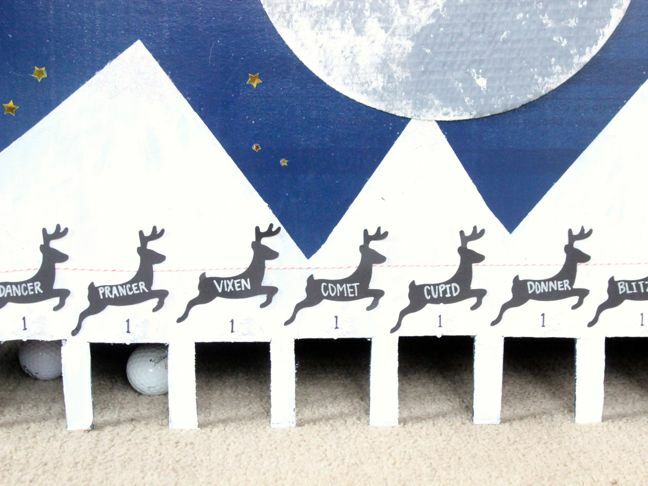 I’m in the holiday spirit, so Santa’s nine reindeer are the stars of my kids’ new favorite indoor game. It’s important for you to know that this game can be as fancy or as basic as you want it to be. I went a little over the top with glitter and stars, and I bet some of you can even top that. 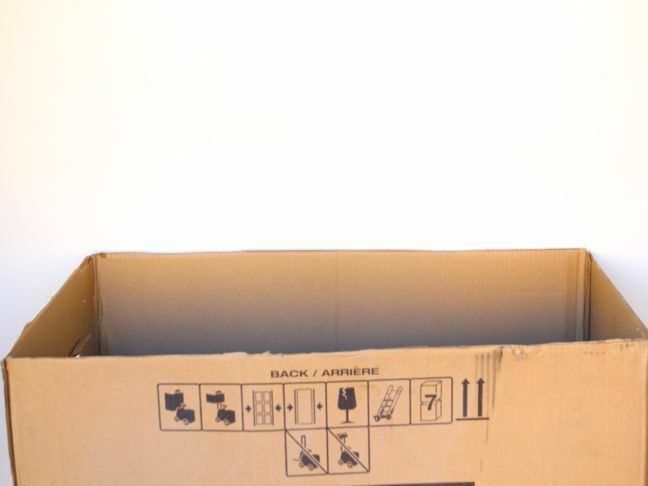 But, if you’re just looking for a fun, indoor golf game for your kids, you can cut holes into the bottom of a cardboard box and call it good. 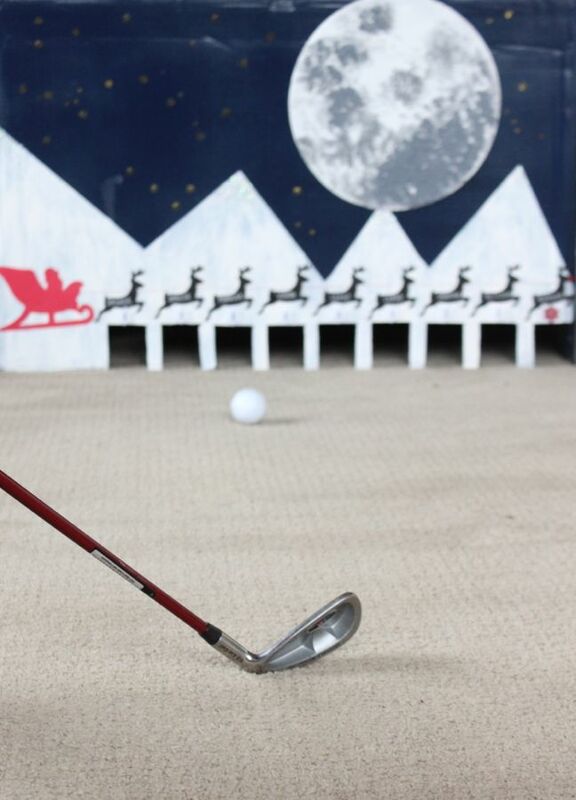 This indoor golf game cost less than $10 (costs were spray paint, paint and confetti), but it can be free if you score the box at no cost. You can have your kids paint it, then write the point values with a Sharpie or pencil. There’s no right or wrong answer—make it your own and line up the putts. 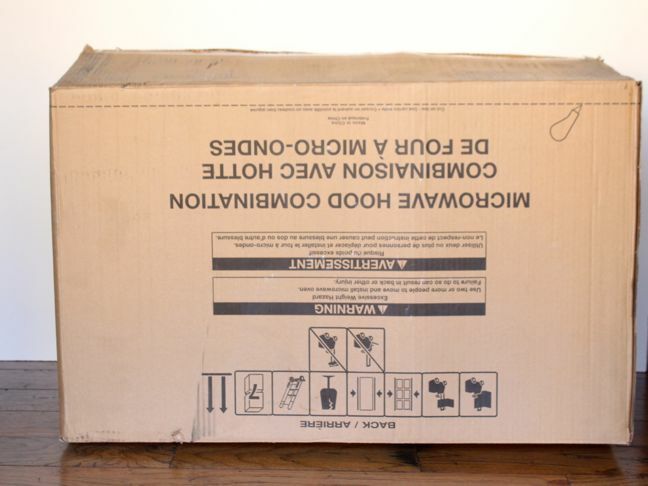 Step 1: Find a large cardboard box. If you don’t have one around, you can find this at your local appliance store or Home Depot for free. Call the store really early in the morning to ask them to save a large box, or look through their recycling cardboard bin like I did. Step 2: Cut out the bottom of the box. 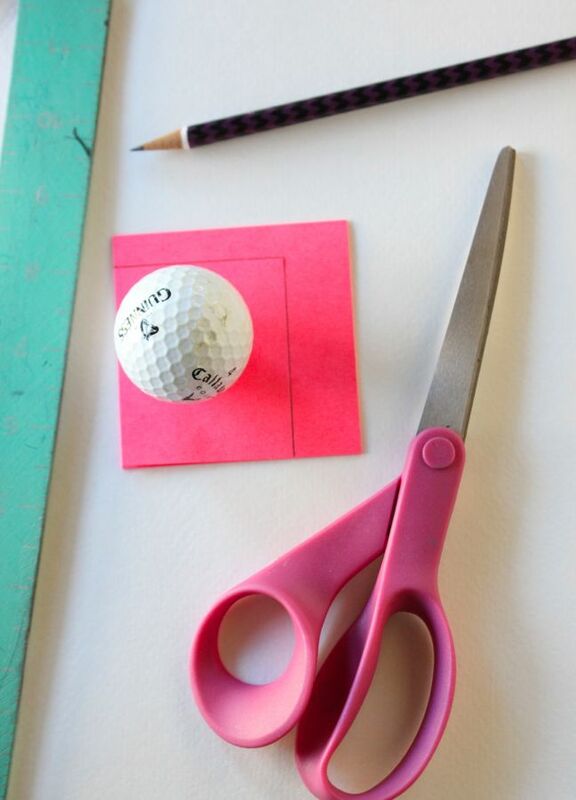 Step 3: Design your indoor golf game. 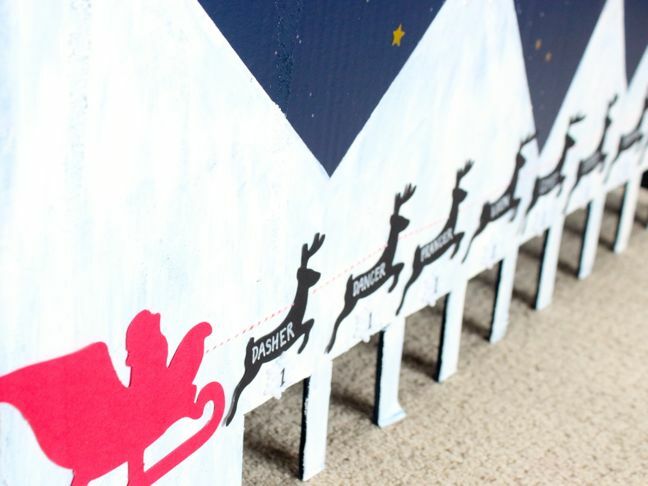 Determine the amount of reindeer, or “openings”, you want. The wider the openings, the easier the game is for little ones. 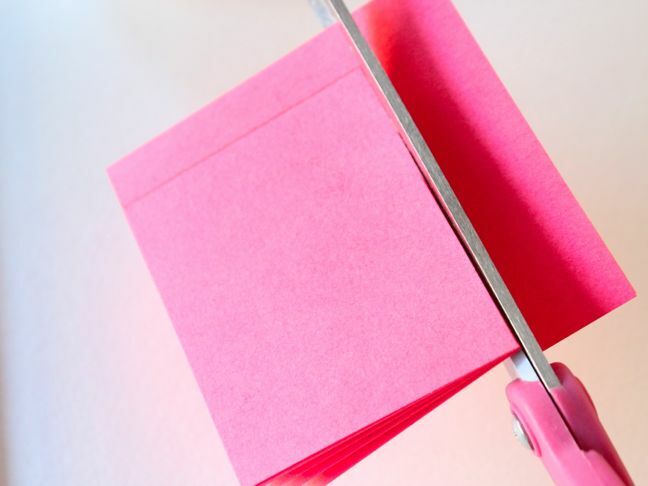 Once you know how many you want, use a ruler and Post-It Notes to lay it out. I cut a Post-It to be about 2×5 inches, traced it on a stack of Post-it notes, and cut them out. 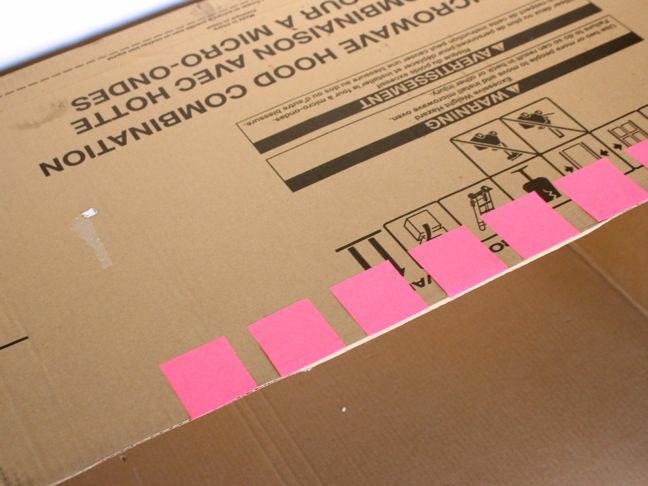 Once I had all the Post-Its cut, I placed them on the cardboard about 1.75 inches apart. 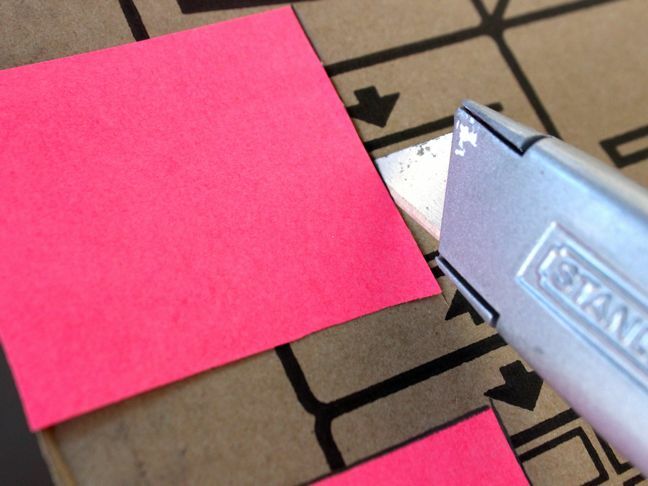 Step 4: Cut around the edges of all the Post-It notes with the X-acto knife. 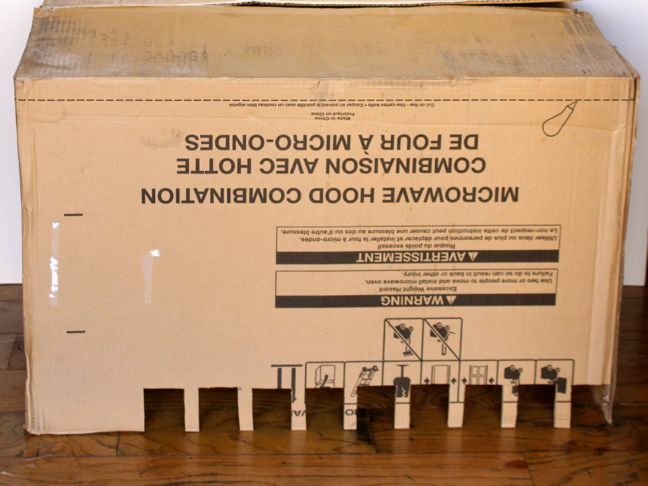 After following this step, you should have a cardboard box with nine openings, or holes. Step 5: Spray paint the front of the box (with the holes) blue. 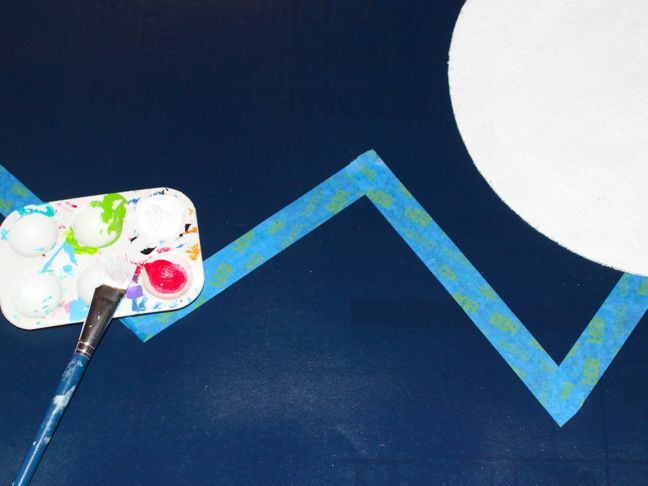 Once the paint is dry, use the painter’s tape to design mountain peaks. 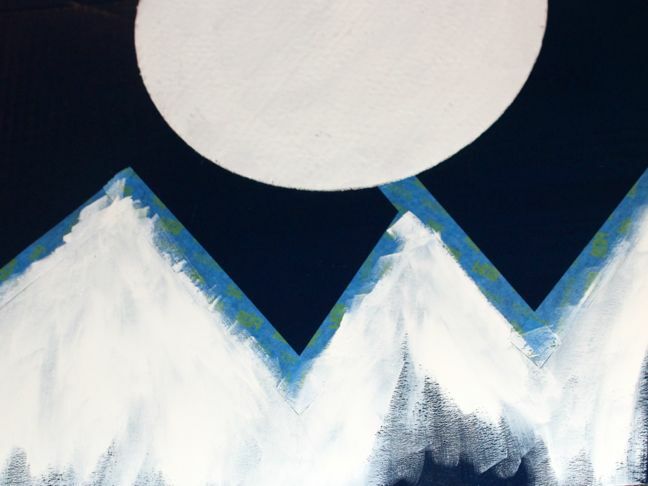 Step 6: Paint the mountains and moon white. For the moon, you can either trace a bowl for a circle shape, or use a round cardboard from bake-at-home pizza. 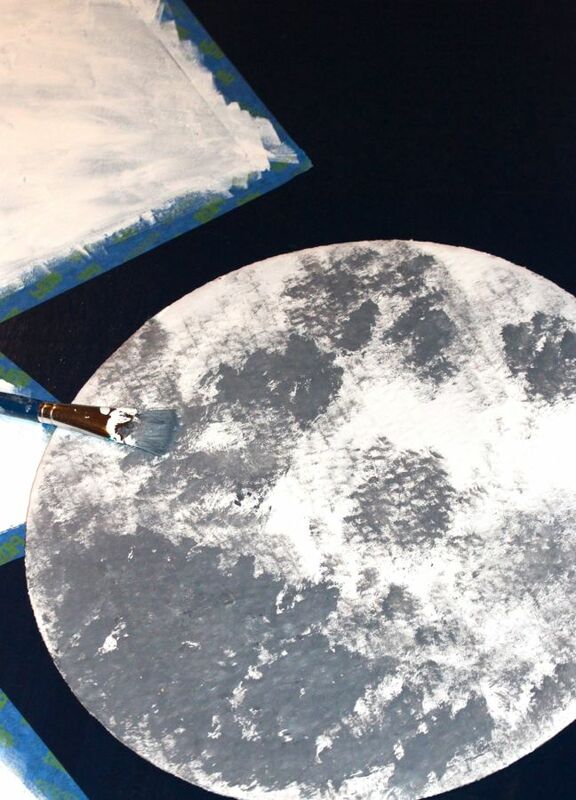 I used a cardboard circle from pizza, so I painted it white, then used a grey paint color to add shadows on it to look like a moon. Step 7: Remove the painter’s tape. 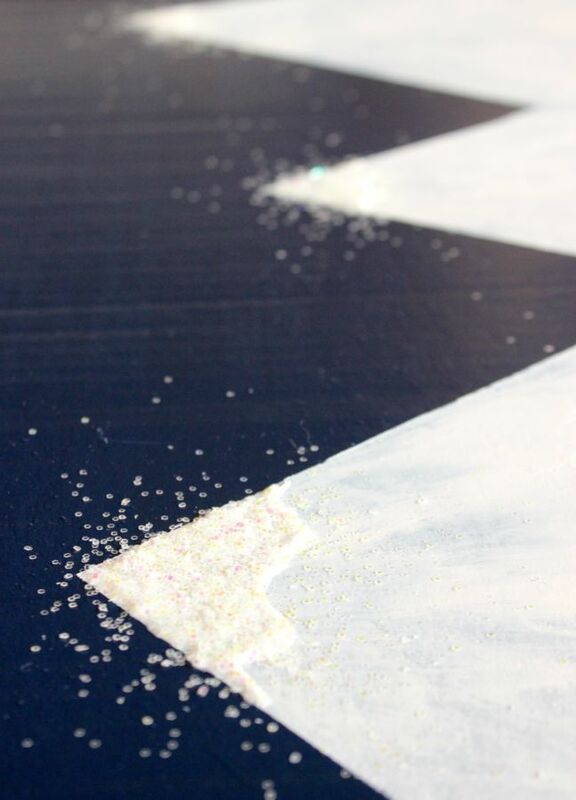 Add glitter glue to the peaks and shake some glitter on for a shimmery snow effect. 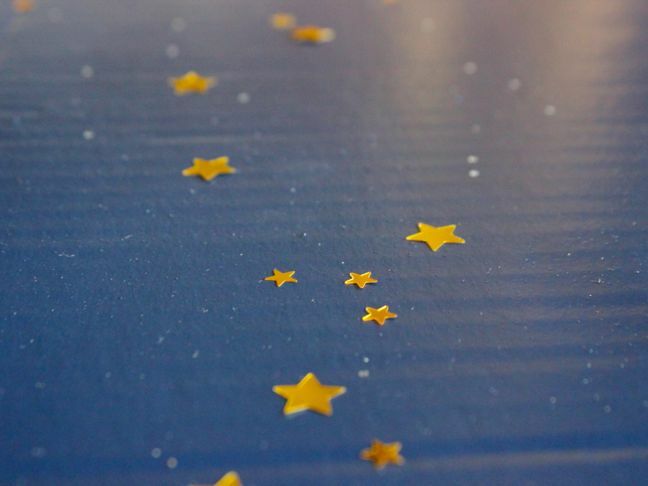 Step 8: Glue star confetti in the night sky with Elmer’s glue. 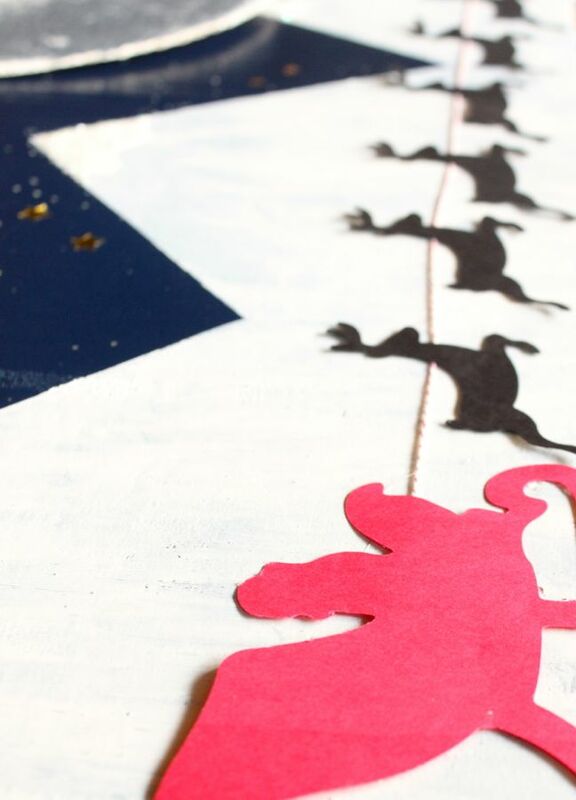 Glue the moon on with a hot glue gun. 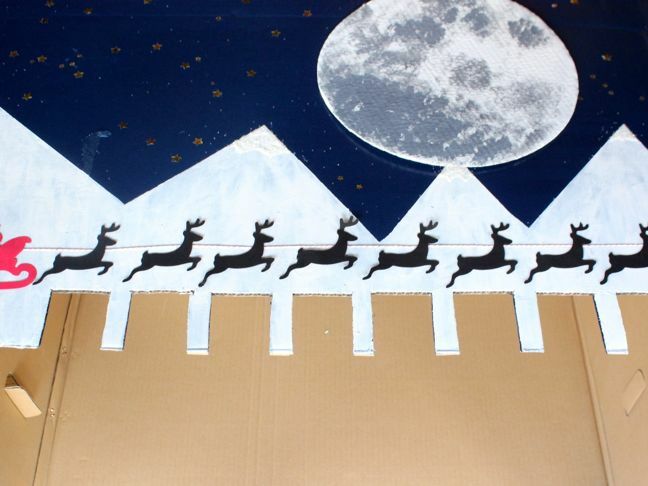 Step 9: Cut out reindeer and Santa sleigh silhouettes. Target One Spot has wood silhouettes right now. You can also find paper cut outs online, or at a craft store. 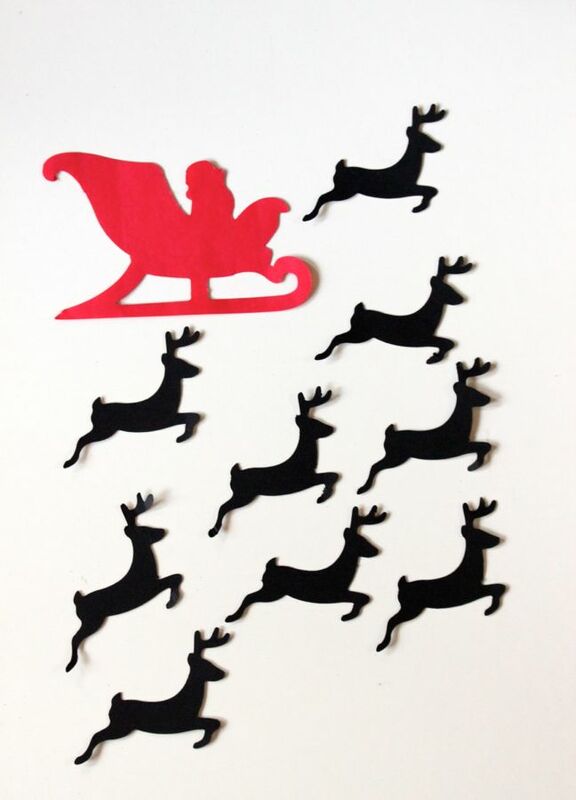 I used my Silhouette America electronic cutting machine to make them. Wherever you find them, just make sure the size fits above each hole. 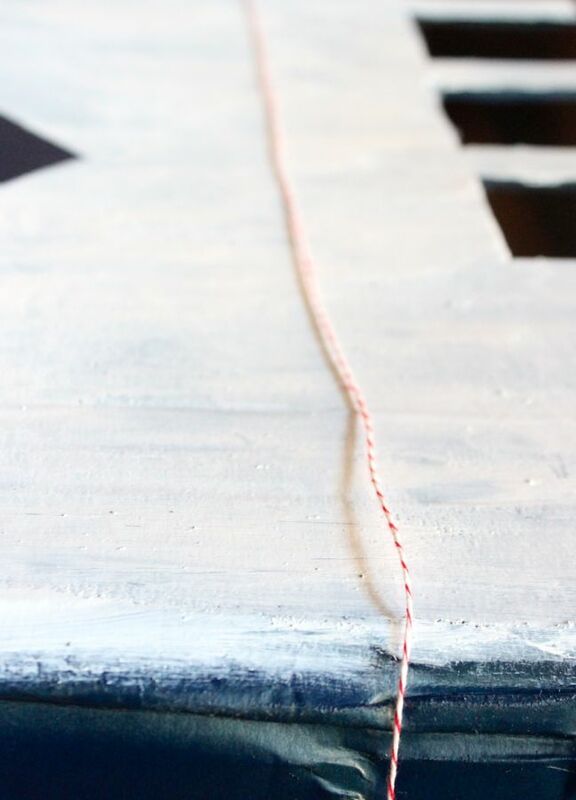 Step 10: Line a piece of twine about 3 inches above the square holes. 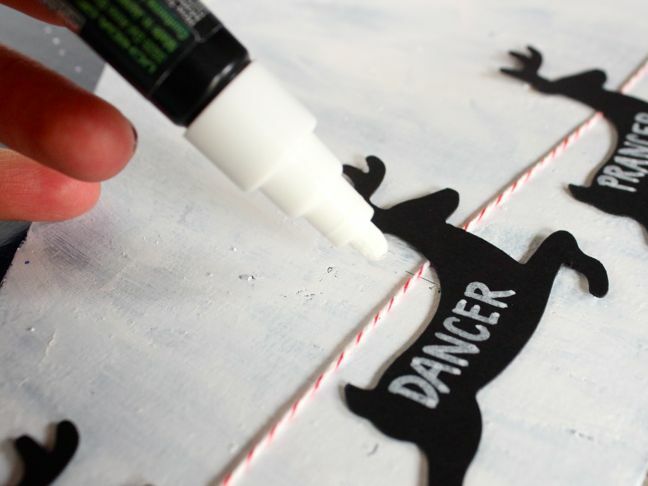 Step 12: With a hot glue gun, glue the reindeer above each hole along the string of twine. Make sure the twine is behind their neck, where the harness would go. Glue the Santa sleigh, too. 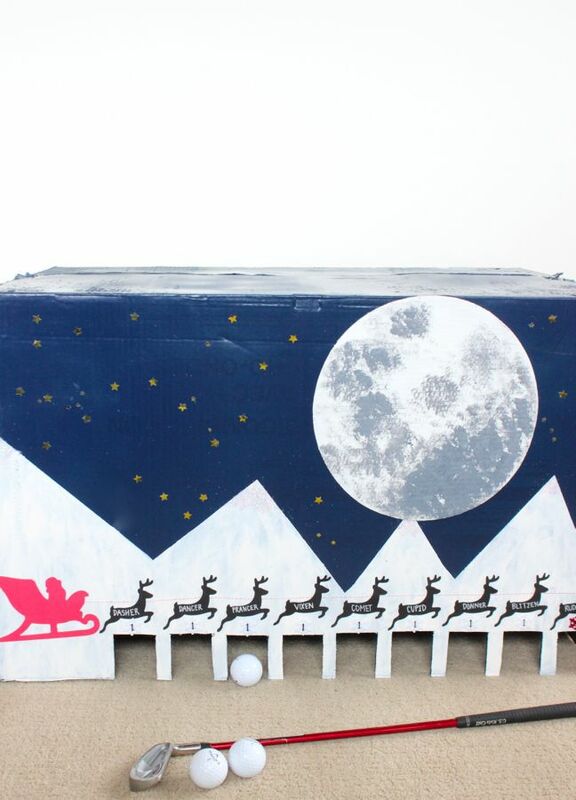 After everything is glued, you can cut the twine on each end of the box, so it stops with Rudolph and the sleigh. 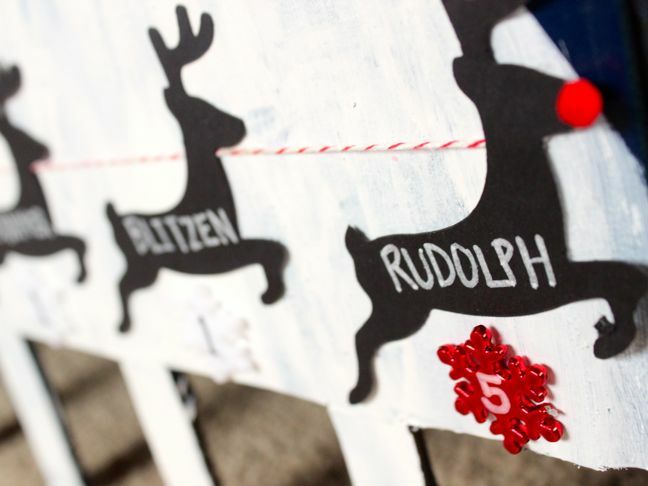 Step 13: Write the names of the reindeer on their bodies. Step 14: Add a point value above each hole. I used a Sharpie to write point values on plastic snowflake decorations. I made it a really simple point value, so it was easy math for my young kids to do. Of course, Rudolph is a bonus, so it’s worth 5 points. 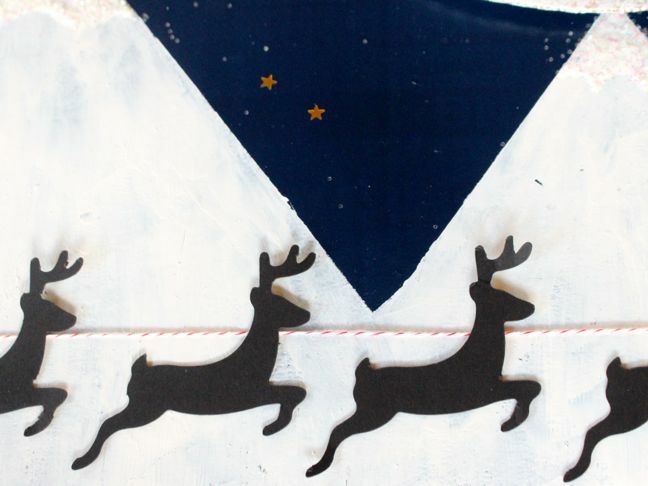 But the remaining reindeer have a point value of 1 each. Step 15: Place the indoor golf game on the hardwood floor or carpet (we found carpet is better), and watch your kids have fun and make memories. 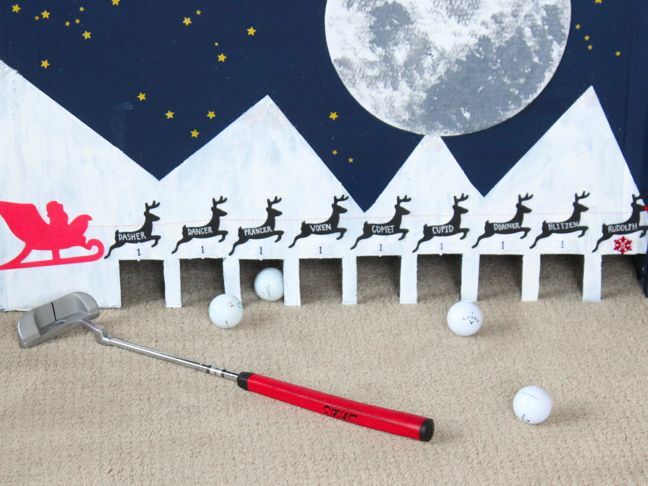 Your kids will learn the names of the reindeer and really get into the holiday spirit, practice their math and teamwork skills, and get darn good at putting!